1. Neoproterozoic to Early Cambrian age (728 Million years ago (Ma) to 525 Ma): This period was characterized by the deposition of sediments along the edge of the North American plate from a source to the northeast, such as the low hills depicted in the figure below. The margin of the plate was pulling apart (rifting) as the supercontinent of Rodinia was breaking up. There was a world-wide glaciation during this interval, and glacially derived sediments were deposited as well. 2. Middle Cambrian to Middle Jurassic age (525 Ma to 175 Ma): An increase in sea level and warming after the end of the glaciation led to deposition of platform carbonates (limestone and dolostone), with shale deposited in deeper water. Periodic emergence above sea level caused gaps in the rock record. Late in this time interval the sea levels rose, and silts and sands were deposited. 3. 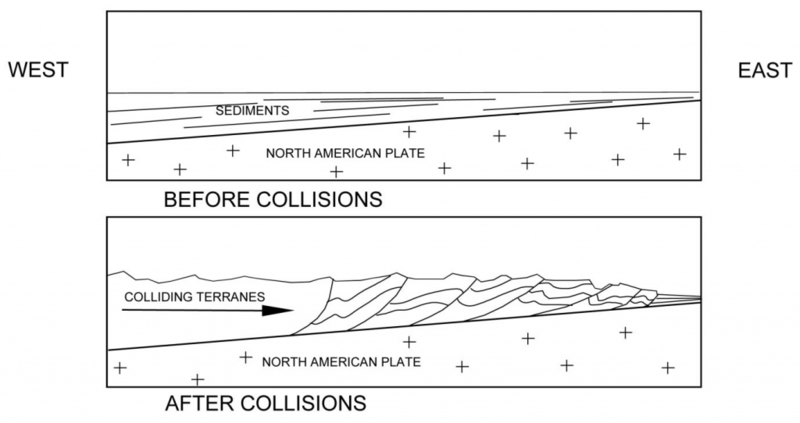 Collisions (175 Ma to 55 Ma): Other land masses (terranes) collided with North America, compressing the accumulated sediments, which folded and faulted them. As the mountains eroded, they shed sediment into a basin in front (to the east) of them. Eventually, these sediments were hardened into rock and were involved in mountain building as well. 4. Glaciation (2 Ma to 10,000 years ago): The earth’s climate cooled, and the northern part of North America was covered by thousands of metres of ice. This ice advanced and retreated over the Geopark many times, overriding the mountain peaks and eroding the valleys more deeply. 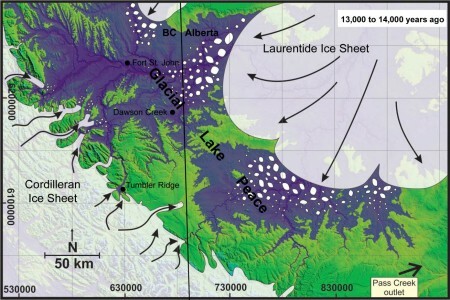 One centre of ice buildup was in the mountains west of the Geopark (the Cordilleran Ice Sheet), and the other one was in central Canada (the Laurentide Ice Sheet). 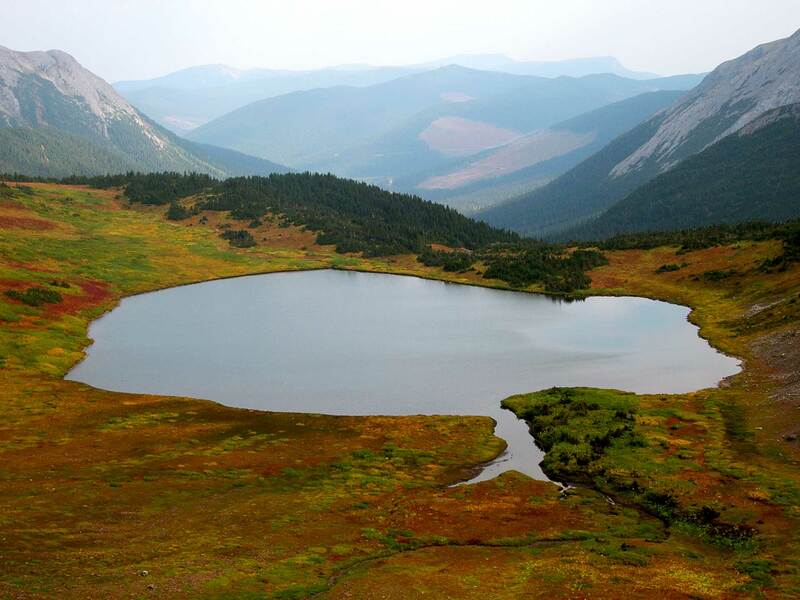 The two ice sheets met in the Geopark, and water trapped between them formed a large glacial lake. Glaciation has left extensive surficial deposits of sand, gravel, and till (an unsorted mixture of boulders, sand, silt, and clay), especially in the flatter eastern portions of the Geopark. Diagrams 1, 2, and 3 adapted from Gadd, 1995 and Gadd, 2008. Diagram 4 adapted from Hickson, 2013. 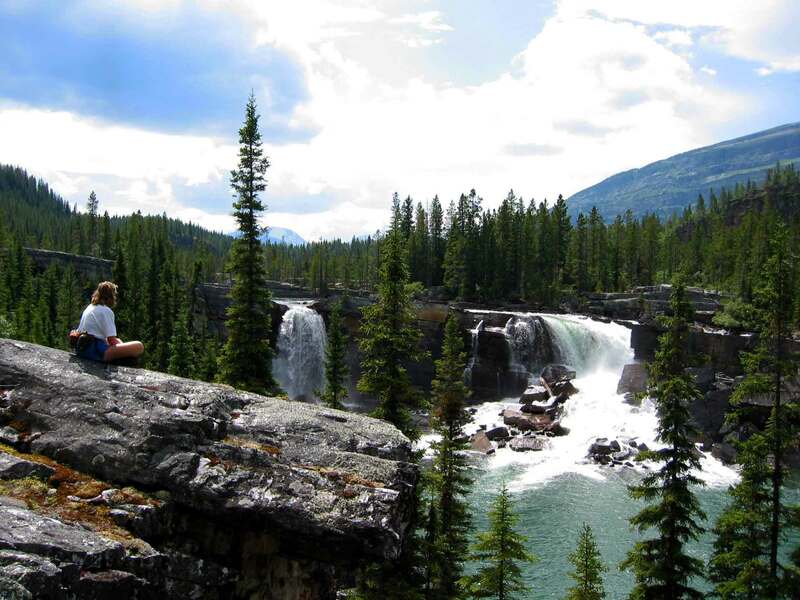 Kevin Sharman first became interested in geology when he lived in Calgary, Alberta and most weekends were spent hiking and skiing in Banff National Park. This led him to obtain a B.Sc. degree in geology from the University of Calgary in 1980. He has spent his whole career in coal geology. 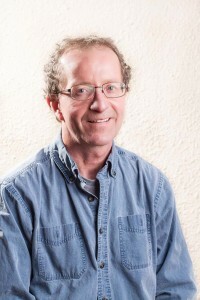 After working for several years in southeastern BC, he moved to Tumbler Ridge in 1984. He and his family love exploring the Geopark, and he knows the area very well. 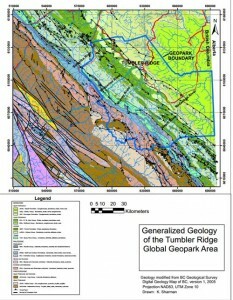 Generalized Geology of the Tumbler Ridge Global Geopark Area. Geology modified from BC Geological Survey Digital Geology Map of BC, Version 1, 2005. 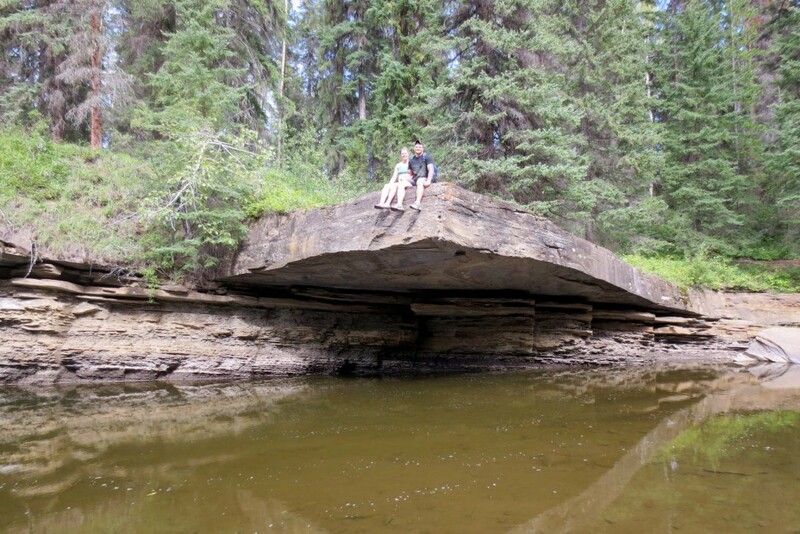 The oldest rock in the Geopark is found in its remote southwestern part, west of Monkman Provincial Park. Here, thick sequences of slate and diamictite (glacial till that has been hardened into rock) of the Misinchinka Group are found. The Misinchinka Group is Neoproterozoic, ranging from 728 Ma (million years) to 570 Ma in age. 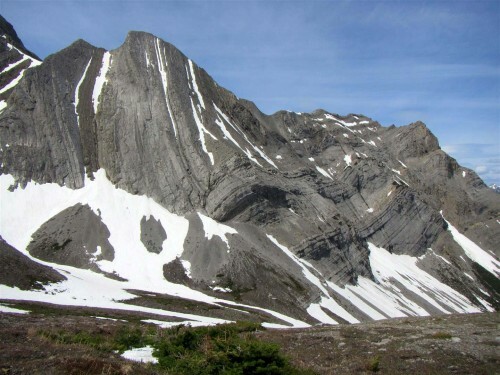 A worldwide glaciation occurred in this time interval, and sediments derived from the glacial debris were deposited along the continental margin as the supercontinent of Rodinia broke apart. Overlying this is the Gog Group, a thick interval of mostly quartzite, a very hard rock that was deposited as sand and metamorphosed by heat and pressure so that the grains are locked together. The Gog Group is early Cambrian in age; approximately 570 Ma to 525 Ma. These sands were deposited on the edge of the North American continent as rivers transported sediment to the ocean from a source area to the northeast. A good example of Gog Group rocks is the dramatic face of the Shark’s Fin on the western boundary of Monkman Provincial Park. Rocks of middle Cambrian to Permian age (525 Ma to 252 Ma) in the Geopark reflect deposition in fluctuating water depths, but were mainly laid down in shallow water. Warm seas, much like present day tropical areas such as the Caribbean Sea, predominated. Organisms such as sponges, corals and crinoids contributed to the formation of carbonate (limestone and dolostone) sequences. Intervals of deeper water are recorded by the deposition of mud which has been transformed into shale. 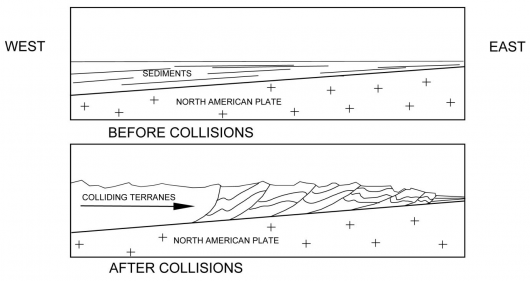 There are many gaps in deposition which occurred when the land was above sea level and either no sediment was being deposited, or else erosion removed the previously deposited layers. 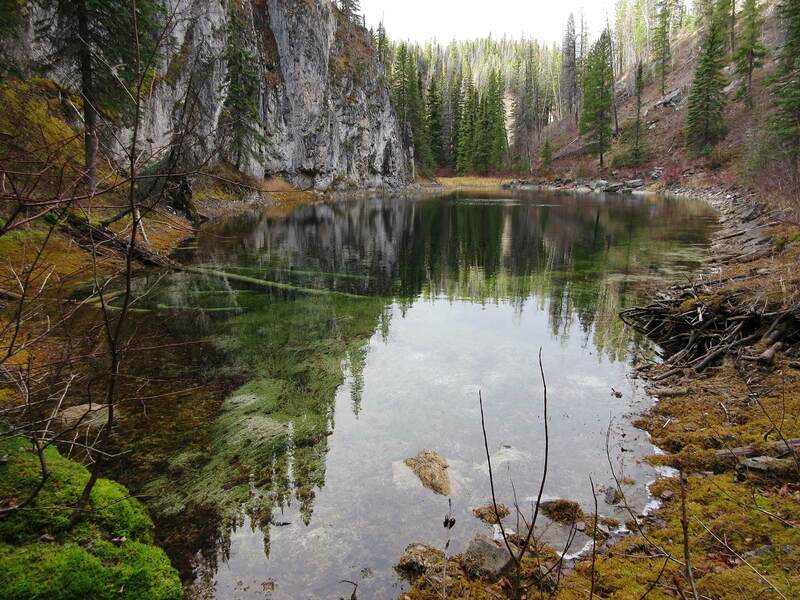 Good examples of these rocks are found at Bootski Lake (Devonian age Palliser Formation) and Pinnacle Peak (Lower Carboniferous Rundle Group). 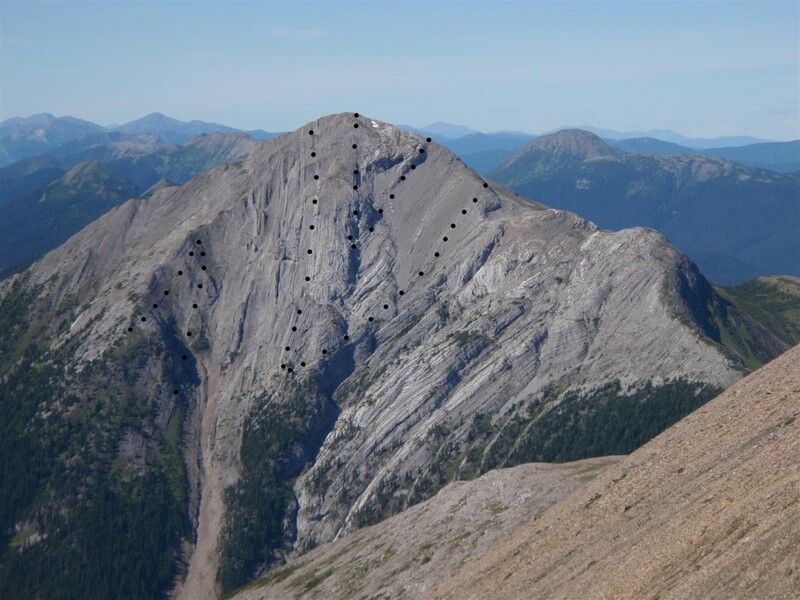 Deposition in the Triassic Period (251 Ma to 200 Ma) started with silts and muds of the Sulphur Mountain Formation that accumulated on the continental edge. Rocks of this formation contain internationally significant fossil fish and marine reptiles, and are well exposed in the Windfall Lake area. Shallow water marine sediments, mostly carbonates, of the Charlie Lake, Baldonnel, and Pardonet formations were then deposited. The Baldonnel and Pardonet formations host large resources of natural gas in the Geopark area. In the Late Jurassic Period, the main source of sediment switched to the southwest as the Cordilleran mountain belt started to emerge. 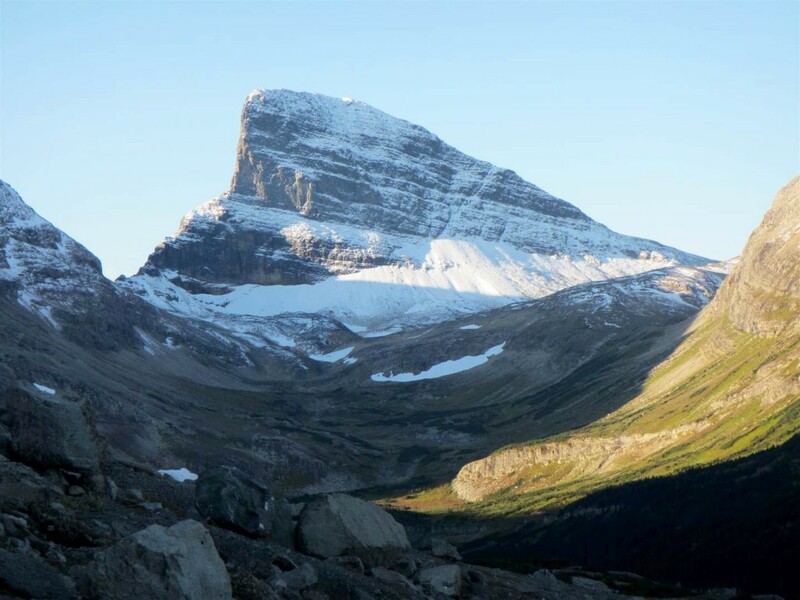 Mountain building episodes occurred due to the complex addition of oceanic terranes (land masses that have moved from their original position) to the western side of the North American continent. These mountain building episodes resulted in shortening of the earth’s crust by folding and thrust faulting, and stacking of rocks as the terranes were pushed upwards against North America. The weight of this extra rock caused a foredeep, or sag in the crust, in front of (east of) the rising mountains. Sediment eroded from these rising mountains accumulated in the foredeep. The Late Jurassic to late Cretaceous time interval is represented in the Geopark by alternating deposits of marine and non-marine sediments that were deposited in this foredeep, a result of transgressions (increases in ocean level) and regressions (decreases in ocean level). A shallow sea called the Western Interior Seaway formed in the middle of North America. Due to pulses of mountain building and global sea level changes, this sea rose and fell over time. 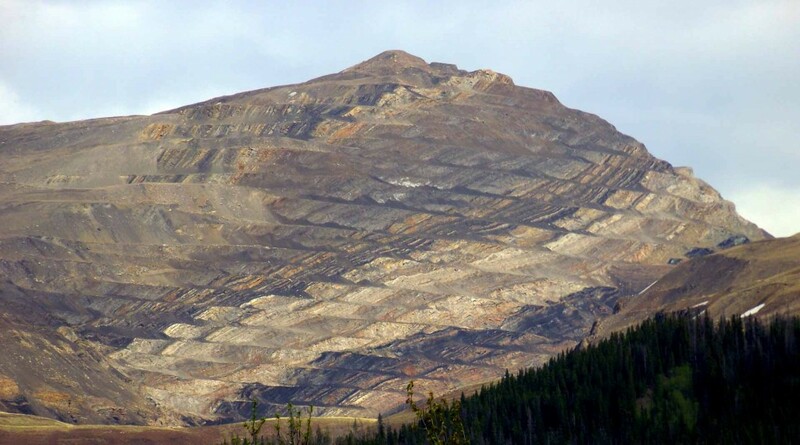 Mountain building progressed from the southwest to the northeast, so that sediments deposited in the foredeep were eventually involved in the folding and faulting. The result of this is that the Tumbler Ridge Global Geopark is an excellent example of the Rocky Mountain Foreland Thrust and Fold Belt. Rocks deposited while the Geopark area was above sea level (non-marine intervals) are very important locally for two reasons: dinosaurs and coal. Along the western margin of the Western Interior Seaway there were extensive swampy coastal plains and river deltas which were habitat for a wide variety of dinosaurs. Some of these areas were protected from sediment influx, and vegetation accumulated. If the rate of subsidence (sinking) was equal to the rate of vegetation accumulation, this vegetation was preserved, and the heat and pressure of the overlying sediments turned it into coal. While all of the non-marine formations contain coal seams, only the Lower Cretaceous Gething and Gates formations have thick, laterally continuous coal seams. 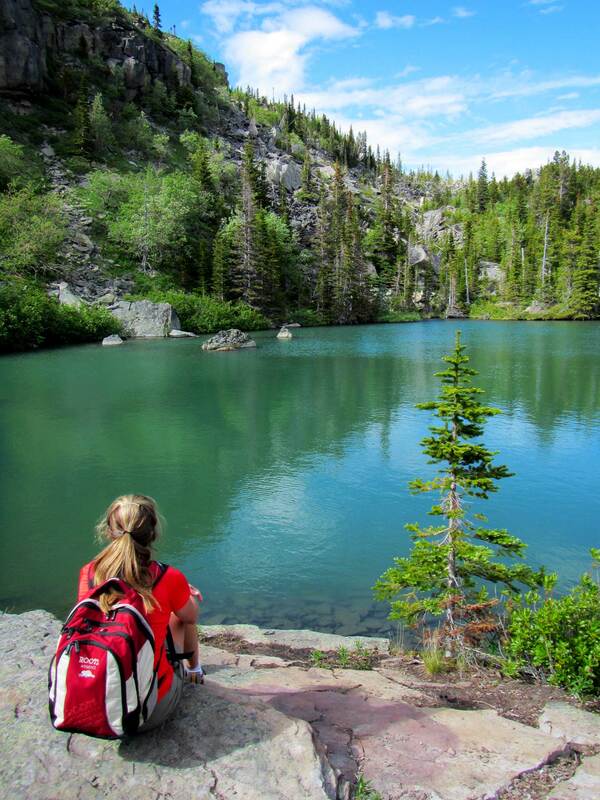 Coal mining has contributed greatly to the economy of the community of Tumbler Ridge in the Geopark. The youngest rock in the Geopark is found in the northeast part. The Wapiti Formation, a sequence of non-marine sandstone and siltstone, is approximately 70 Ma in age. The global climate cooled markedly about 2.5 million years ago. This allowed large thicknesses of ice to build up over the northern half of North America. There were two centres of ice buildup; one over British Columbia, and one over the Hudson Bay area of central Canada. Both ice sheets advanced and retreated over the Geopark area. This covering of thousands of meters of ice changed the topography of the Geopark, deepening the valleys and steepening the slopes of the mountains. Eroded material was deposited in the valleys and in the flatter areas of the Geopark, and elongated landforms show the direction of ice movement. Due to blockage of the ancestral Peace River by ice, a large glacial lake formed between the two ice sheets. Sands and silts deposited in this lake can now be seen in the Murray River Valley. 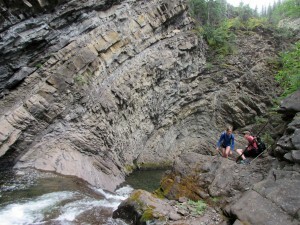 The Tumbler Ridge Global Geopark has had a long and complex geological history. Within its borders are a range of sedimentary rocks, very good examples of folding and faulting in a foreland belt, and internationally significant fossil sites. The distribution of rock types in the Geopark reflects this history. 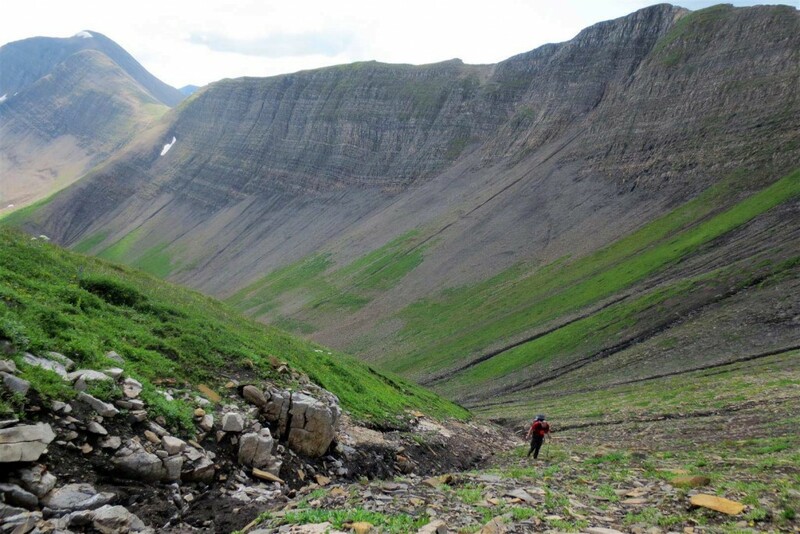 In the flatter eastern sections east of Tumbler Ridge, the rocks are flat lying and unfaulted, and are mainly upper Cretaceous sandstones and shales. 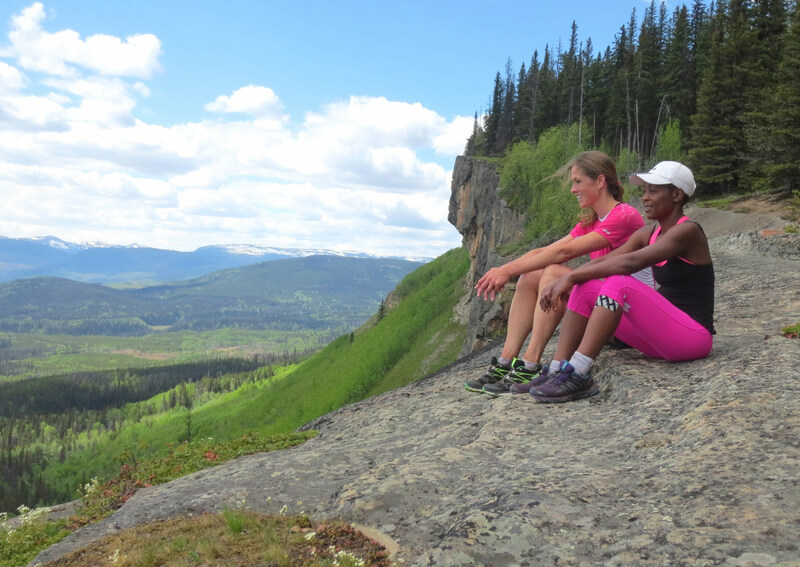 Just west of Tumbler Ridge is the edge of the folded and faulted zone. Everything to the west of this has been deformed in the mountain building episodes that built the Rocky Mountains. Large thrust faults have brought older rock to the surface, faulting it over younger rocks. The Merrick Thrust runs from the Mt. Crum area to east of Albright Ridge and brings Paleozoic carbonates to the surface over top of younger Jurassic rocks of the Minnes Group. This fault marks the boundary between the rounded summits of the foothills and the higher, steeper rocks of the Front Ranges. Two unnamed thrust faults in the southwest part of the Geopark bring successively older rocks (Paleozoic and upper Proterozoic age) to surface. 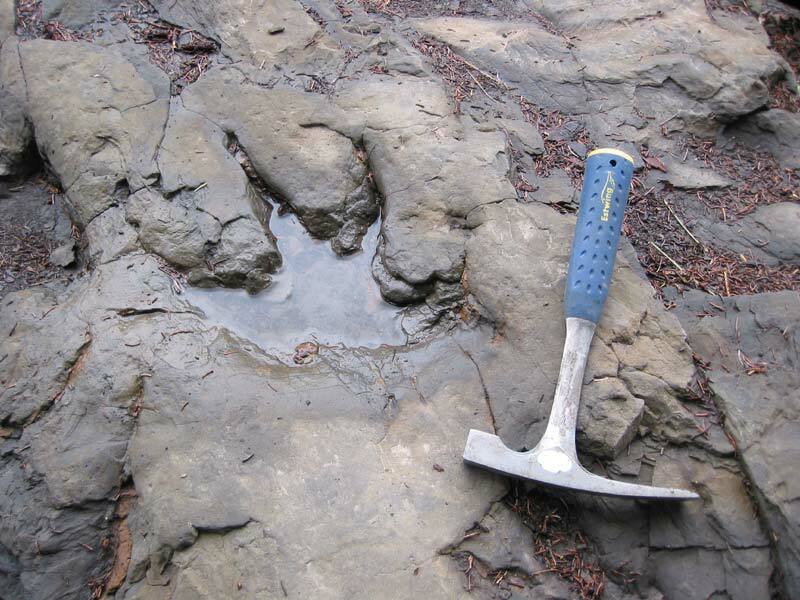 For details on palaeontology in the Geopark, see here. Gadd, Ben (1995). Handbook of the Canadian Rockies, 2nd Edition, Corax Press, Jasper, Alberta. ——- (2008): Canadian Rockies Geology Road Tours, Corax Press, Jasper, Alberta. Dawson Creek and Surrounding Area, Northeast British Columbia, Canada, unpublished PhD thesis, University of Victoria, Victoria, BC. Mossop, G.D. and Shetsen, I., comp. (1994). 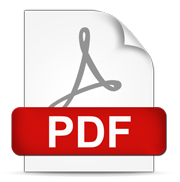 Geological Atlas of the Western Canada Sedimentary Basin; Canadian Society of Petroleum Geologists and Alberta Research Council, URL, accessed Nov. 23rd 2015. A relativively new term but a pursuit that grows every year it is simply the study of geological and geomorphological features. The culture and tradition of this pastime has been influenced heavily by the National Geographic Society. 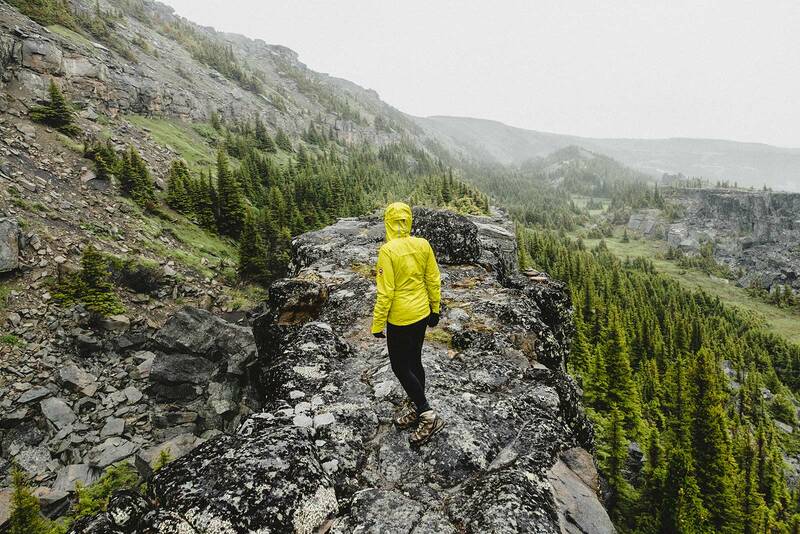 The geological legacy has attracted humans who have come for the abundant resources. 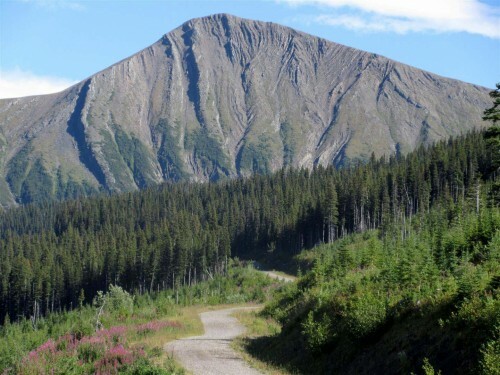 As the Rockies rose, the geological environment was right for accumulation of extensive peat deposits in swampy areas near the coastline of the inland sea – these became the metallurgical coal seams (coking coal) that, along with natural gas deposits, have led to the development and settlement of the area. Geology is an essential component during every stage of a mine’s lifespan and has the deepest impact on planning, profitability and environmental footprint. 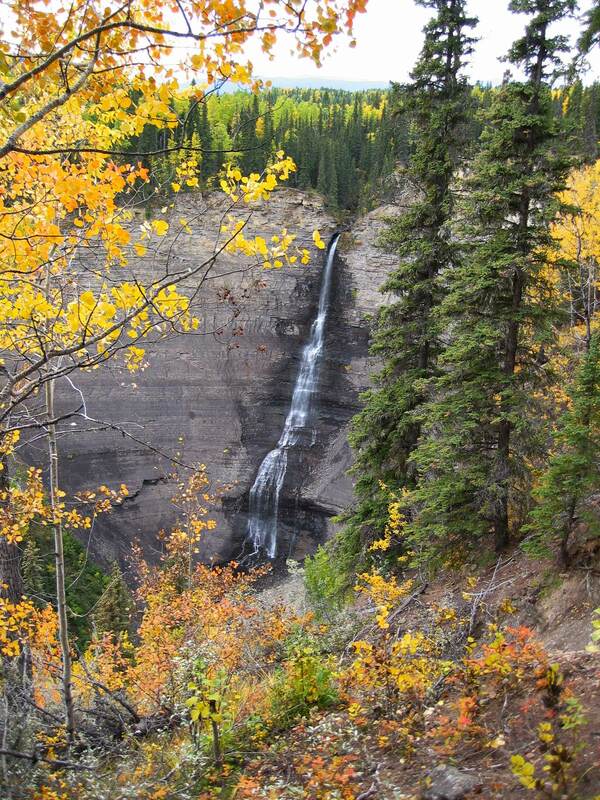 Our geologic advisor, Kevin Sharman, started in mining and has stuck around for the amazing hiking, scenery and small town lifestyle that Tumbler Ridge is famous for.